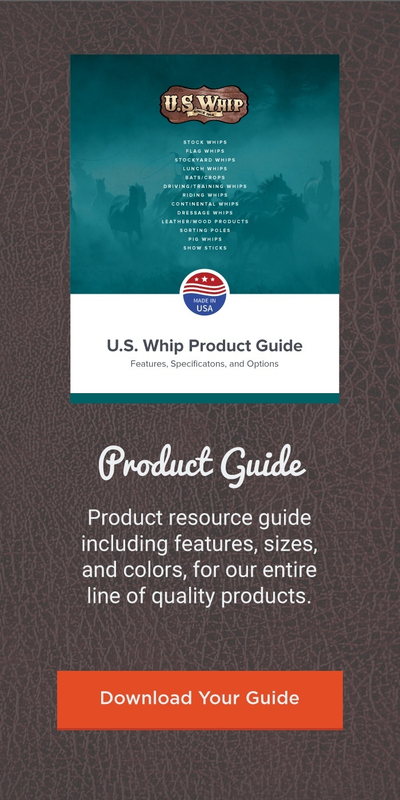 Dressage and Gaited Whips are made of the finest materials and workmanship. Designed specifically for the show rider, the fine double braided cover and leather handle give these whips an attractive finish. These two styles are differentiated by a large (Dressage) or a small (Gaited) chrome end cap. Leather handles available in eight colors.